When Charlie Garrett arrives as a young teacher at the shabby-yet-genteel Abbott School, he finds a world steeped in privilege and tradition. Fresh out of college and barely older than the students he teaches, Charlie longs to leave his complicated southern childhood behind and find his place in the rarefied world of Abbottsford. Before long he is drawn to May Bankhead, the daughter of the legendary school chaplain; but when he discovers he cannot be with her, he forces himself to break her heart, and she leaves Abbott he believes forever. He hunkers down in his house in the foothills of Massachusetts, thinking his sacrifice has contained the damage and controlled their fates. But nearly a decade later, his peace is shattered when his golden-boy half brother, Nick, comes to Abbott to teach and May returns as a teacher as well. Students and teachers alike are drawn by Nick's magnetism, and even May falls under his spell. When Charlie pushes his brother and his first love together, with what he believes are the best of intentions, a love triangle ensues that is haunted by desire, regret, and a long-buried mystery. 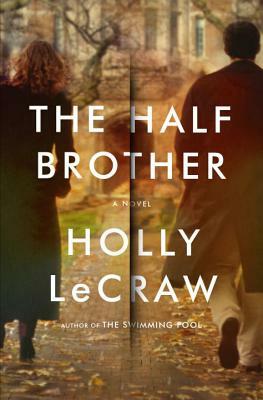 Holly LeCraw is the author of The Swimming Pool. Her work has appeared in The Millions, Post Road, and various anthologies, and has been nominated for a Pushcart Prize. A native of Atlanta, she now lives outside Boston with her family.